Celebrate Your Birthday with America’s Escape Game! Why not try something new and fun for your next birthday that people will not only remember, but talk about for weeks! 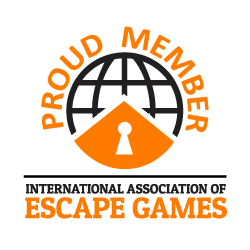 Maybe your team will set a record and join the privileged few to make it onto our leaderboard and achieve #WeEscaped status and all the riches that come with such success (well, not really riches, but bragging rights – definitely bragging rights.). We can provide everything right down to the cake and soft drinks, and our escape room experiences make for an incredible birthday experience. We offer a new and exciting challenge that will make your party one to remember. At America’s Escape Game, you and your guests will team up to be locked in a room with a unique mission to complete. You will have 60 minutes working together to crack the riddles, solve the puzzles, and escape! Contact Our Birthday Party Specialists! Can you beat the times of our top escape artists? For questions and specific details, please call our Party Team at 407-988-3397 or complete the form above and we will contact you as soon as possible.